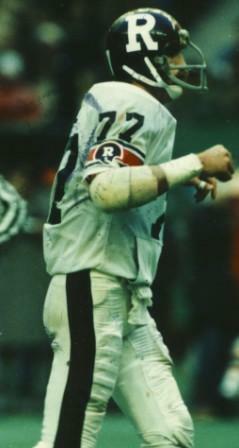 Tony Gabriel played with the Burlington Braves before attending the University of Syracuse, where he broke most of the school’s pass receiving records. Gabriel was the leading receiver in the Eastern Conference of the CFL five times, and had more than 1,000 yards in receptions in 1975, 1976, 1977, 1978 and 1981. His three last-minute catches helped the Tiger-Cats win the 1972 Grey Cup and he caught the game-winning touchdown in the 1976 Championship for the Ottawa Rough Riders.Tony Gabriel was named the Canadian Player of the 1976 Grey Cup game.